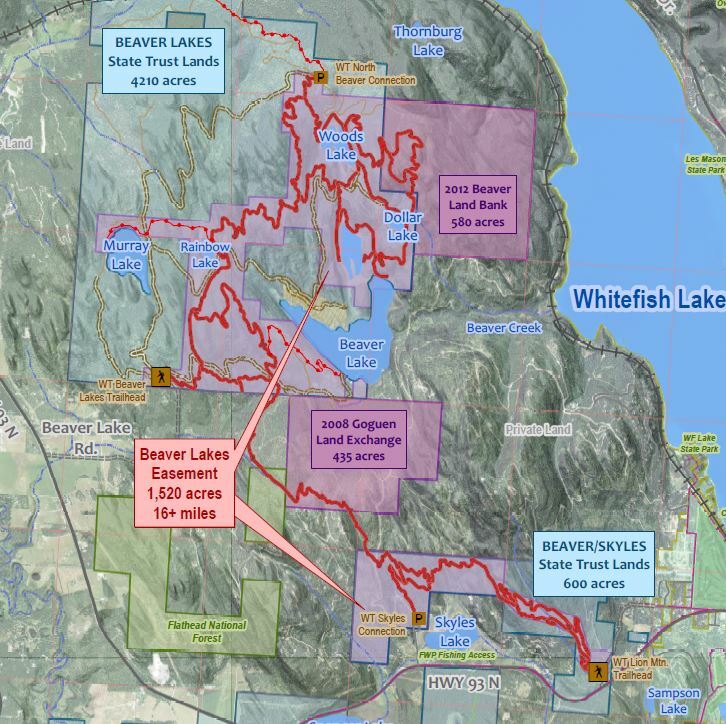 Whitefish Legacy Partners permanently secured over 1,500 acres for public recreation and conservation in the treasured Beaver Lakes area in 2014. • Quality recreation access will be guaranteed on undeveloped open public lands – forever. The completion of the Beaver Lakes Initiative finalized the Public Recreation Use Easement creating permanent conservation areas and providing the public a developed recreation system. 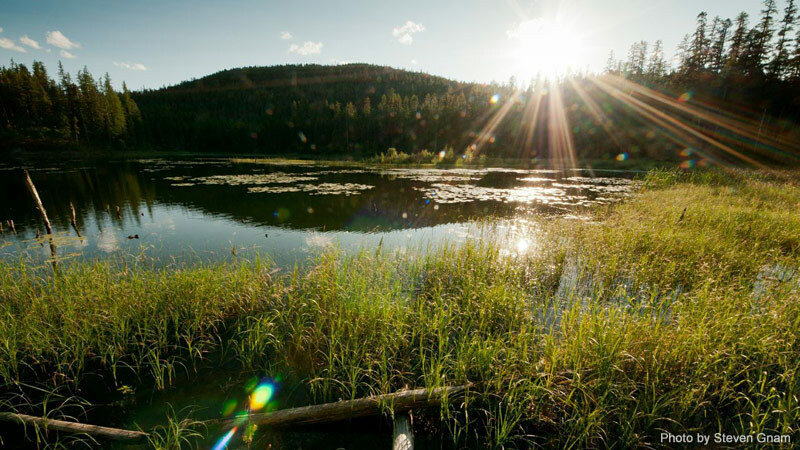 The Easement protects viewsheds, prime wildlife habitat and the clean water of Whitefish Lake. The purchase of this easement required broad support and speaks to the fact that as a community we hold the preservation and access to open lands surrounding our community in high regard. A significant portion was funded by philanthropist Michael Goguen with the remaining $2M coming from the community. With the help a Major Challenge Grant from the Whitefish Community Foundation, WLP was successful in completing the purchase in December of 2014. Thanks to the many donors and volunteers who worked the last three years to make this project a huge success! WLP joined the City of Whitefish this fall to celebrate the successful completion of the first ten years of the Whitefish Neighborhood Plan. In the last ten years, recreation and conservation efforts have permanently protected 3,000+ acres generating over $12 million dollars in gross revenue for the schools and universities of Montana. The Whitefish Neighborhood Plan and Beaver Lakes Easement have proven to be a home run for Whitefish and Montana. What we have accomplished in our community sets an example of innovative solutions that can be utilized statewide.